After much speculations about being in a Mollywood movie, Tamil superstar Vikram has decided to do his first Malayalam film for director Roshan Andrews. 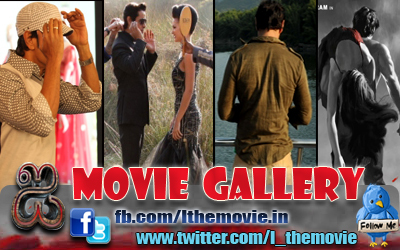 Roshan Andrews is the one who directed super hit movies like ‘Notebook’ and ‘Evidam Swargamanu’. He is also the director of ‘Udayanu Tharam’, which was later remade ‘Vellithirai’ in Tamil. 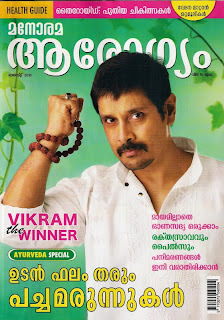 ‘Cheeyan’ Vikram who never concealed his love for doing Malayalam films has finally decided on one. Roshan who had been an admirer of Vikram had met him last year in a function organised by a private channel. A few weeks back, they met again at a private function, where Vikram asked Roshan to suggest a good story in Malayalam so that he can take the plunge. Few days later Roshan had sent a synopsis of a plot written by his writers Bobby-Sanjai. Vikram was immediately floored by the wonderful plot lines and immediately agreed to do it. When Roshan discussed the remuneration part, Vikram is said to have told Roshan, “I will not take a single pie for the project. Let the film be my contribution to Malayalam cinema.” The project will off by the early 2011. Vikram has to complete his current projects and Roshan will also be ready by then finishing his much delayed film ‘Casanova’ with Mohanlal which is said to the costliest Malayalam film ever.